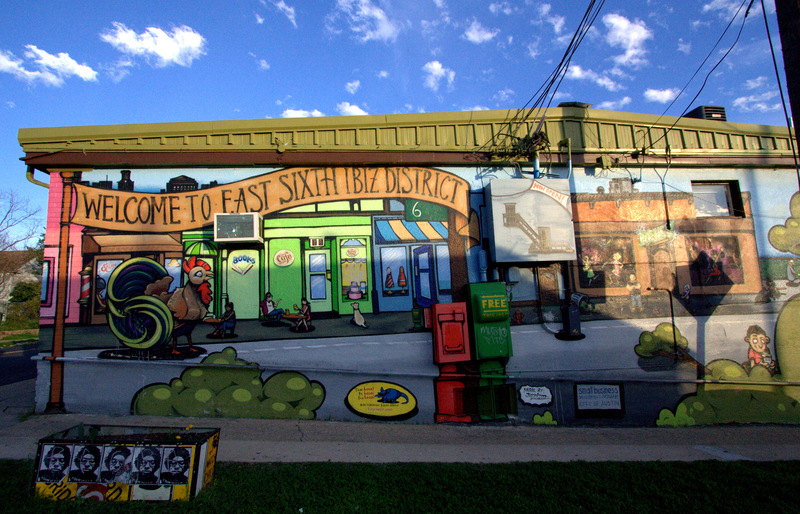 After my bike tour with Austin Eats Food Tours a few weeks ago, I’ve had a new appreciation for East Austin. One great gem I recently discovered is Papi Tino’s on East 6th. The atmosphere of a place is very important to me and Papi Tino’s absolutely delivers on this. The restaurant, which serves fresh Mexican cuisine, is located in this adorable old house that, if the walls could talk, I am certain would have some stories to tell. The rustic home still feels like a home, with its wooden walls stripped of many layers of paint and wallpaper, vintage fixtures in the bathroom and the space still divided into separate rooms – you almost feel as if the residents just stepped out for a moment and allowed you to stay a while, relax and make yourself at home. There is ample outdoor seating in the front yard underneath beautiful shade trees and seating in the backyard as well. Along with the great atmosphere also comes great food. The menu is simple and elegant, not the typical East Austin Mexican dive (which can be great as well, by the way). 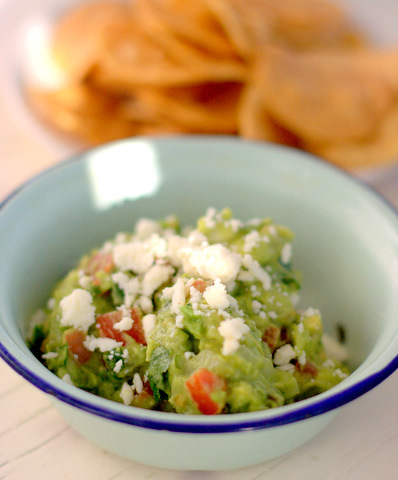 My husband and I had the guacamole to start, which was fresh and delicious. 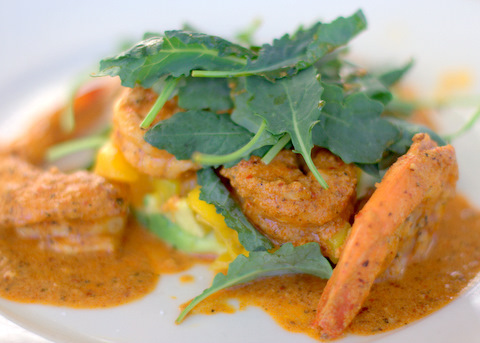 For the main course, I ordered the Camarones a la Diabla – five or six large shrimp covered with a spicy peanut salsa on top of diced mango and avocado and garnished with baby kale, which was a nice combination of spicy and sweet. Really good. My husband ordered what I consider the gold standard for Mexican food – chicken enchiladas with suiza sauce. The creamy green sauce was one of the best I’ve ever had – after he was finished eating, I scooped up the rest of the sauce with chips! 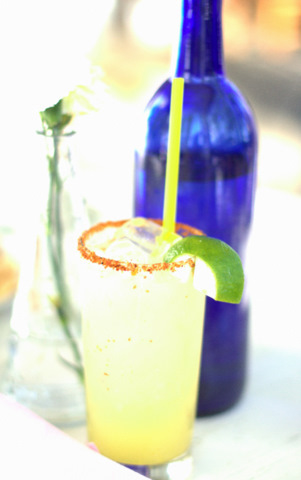 I also enjoyed their house margarita – not too sweet and very refreshing. Happy hour only runs on Saturdays from 4 to 6pm, but I imagine it is a fun one, especially on a beautiful day. I really liked Papi Tino’s – the food was wonderful and the ambience was fantastic. I don’t think I can get back soon enough. 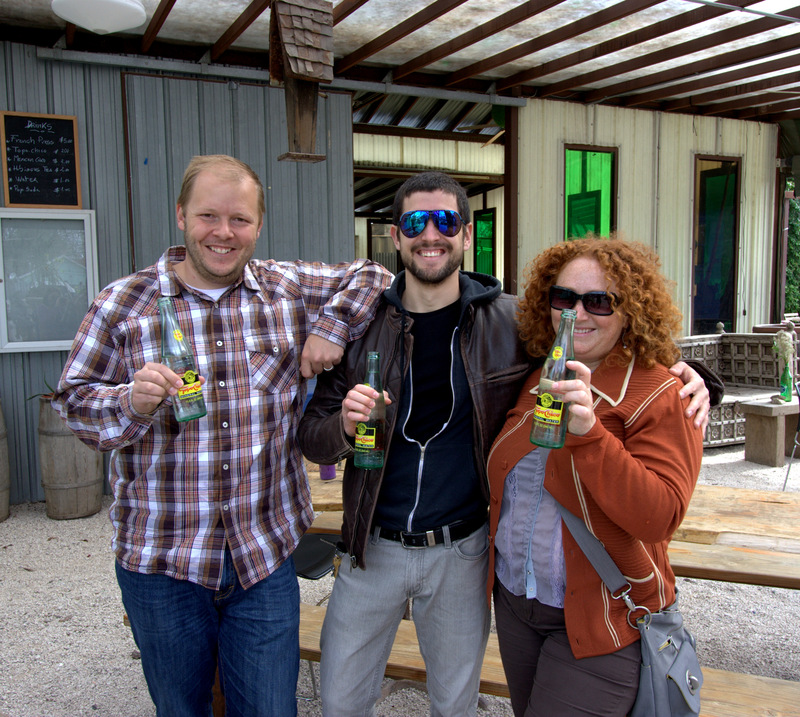 I had the great opportunity to join Austin Eats Food Tours on their inaugural bike tour through East Austin. It was so much more fun than I had anticipated! 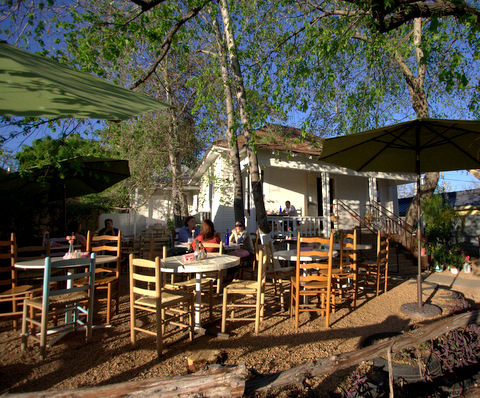 If you’re not familiar with Austin Eats, you should be. Owned and operated by Andy and Lindsey Potter, you are taken on a culinary trip to some of Austin best eateries, places that help give Austin it’s vibe. Austin has truly become a foodie town and Austin Eats wants to help you experience the best, the quirkiest and the weirdest home grown places this city has to offer. And this time, it was all experienced by bike. So we loaded up on the three speeds, provided by Barton Springs Bikes, and headed east. 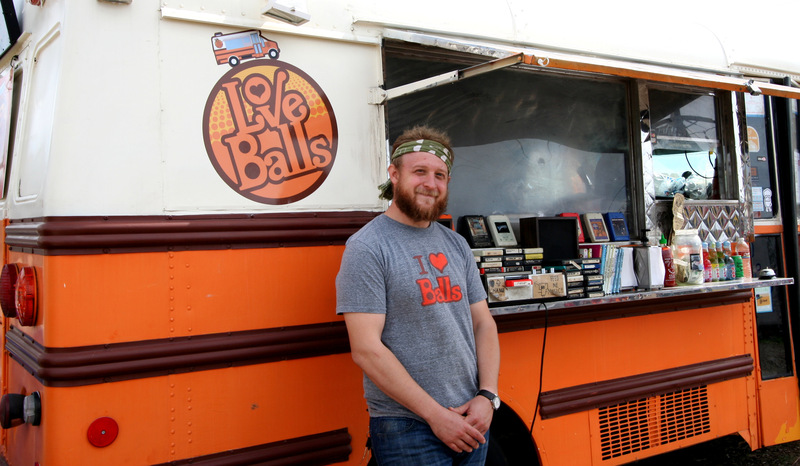 Our first stop on the tour was Love Balls, a food truck (aka the Love Balls Bus) located on East 6th in this quaint food trailer park. With a name like that, what could they possibly be serving?? Don’t worry – it’s not as risqué as it sounds. 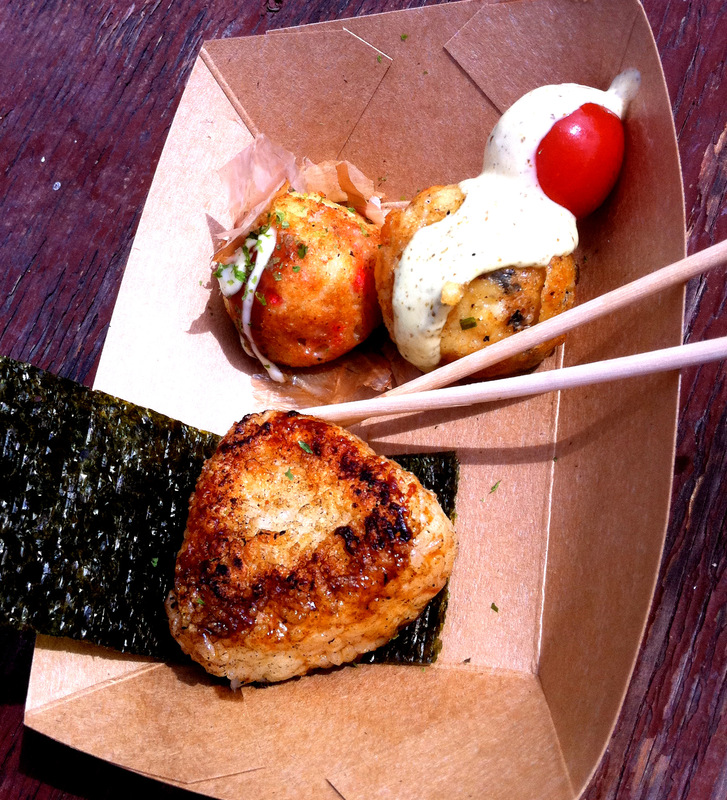 Love Balls, owned and operated by the husband and wife team, Gabe and Sao Rothschild, serves up Japanese street food in the form of, you guessed it, balls. As in Takoyaki balls, which are round fried balls filled with various scrumptous morsels, such as octopus, scallions and ginger (traditional street food) or their own unique variations, such as mozzarella cheese and scallions. We got to try both of these items, as well as the garlic yaki-onigiri, which is a grilled rice ball with soy sauce and a seaweed wrap. So simple yet so delicious! I really liked the flavors coming out of this truck (as well as the 1970s vibe with the 8 track) and plan on going back. Thanks for the hospitality, Gabe! 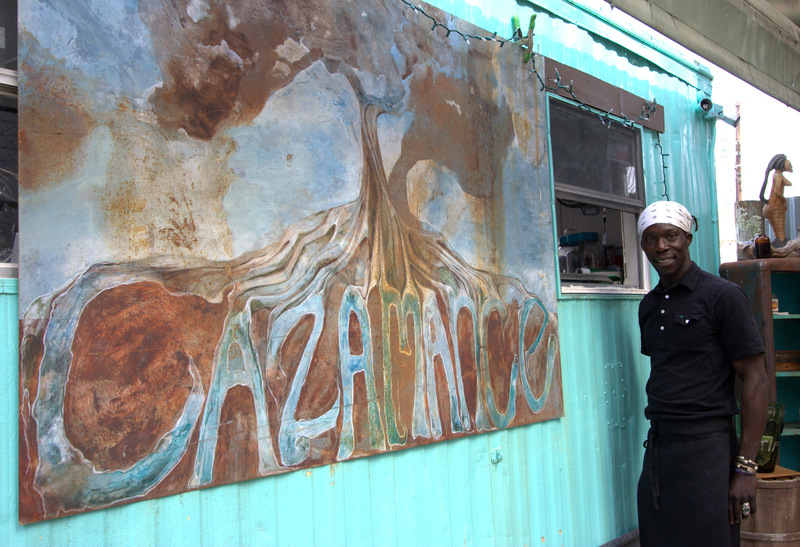 Back on the saddle we go and head over to Cazamance, an eatery on East Cesar Chavez that specializes in West African dishes. There we were warmly greeted by Iba Thiam, co-owner and head chef. 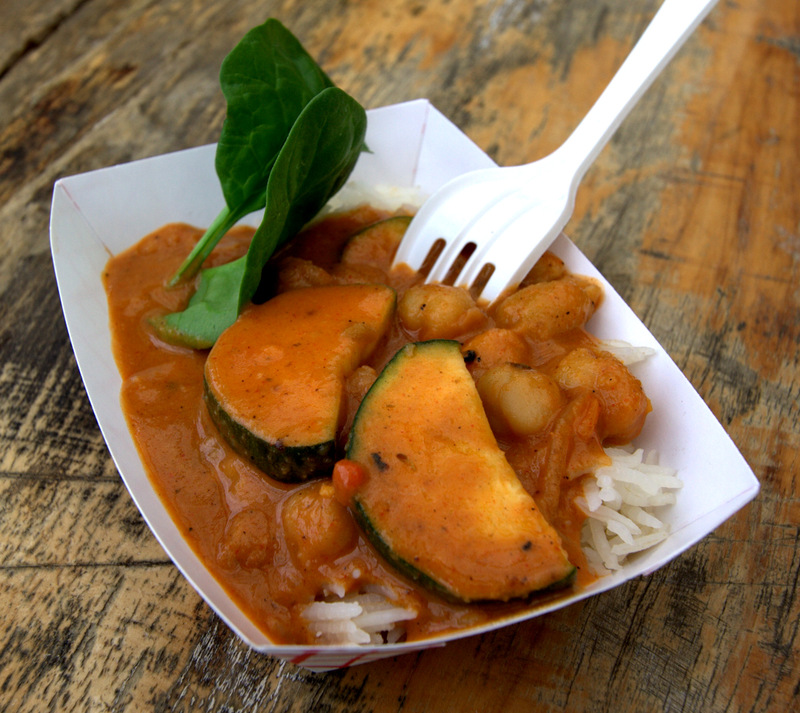 He enticed us with peanut butter stew, a traditional African meal that was served over rice. I couldn’t tell you exactly what was in it, but I can tell you that is was very tasty. Another aspect of Cazamance that I really liked was the location. It is tucked away in the CTC Garden, a space owned by the non-profit organization, Comfort the Children International. The eclectic outdoor space, used for various events and fundraisers, makes for a wonderful backdrop to enjoy the delicious African cuisine. 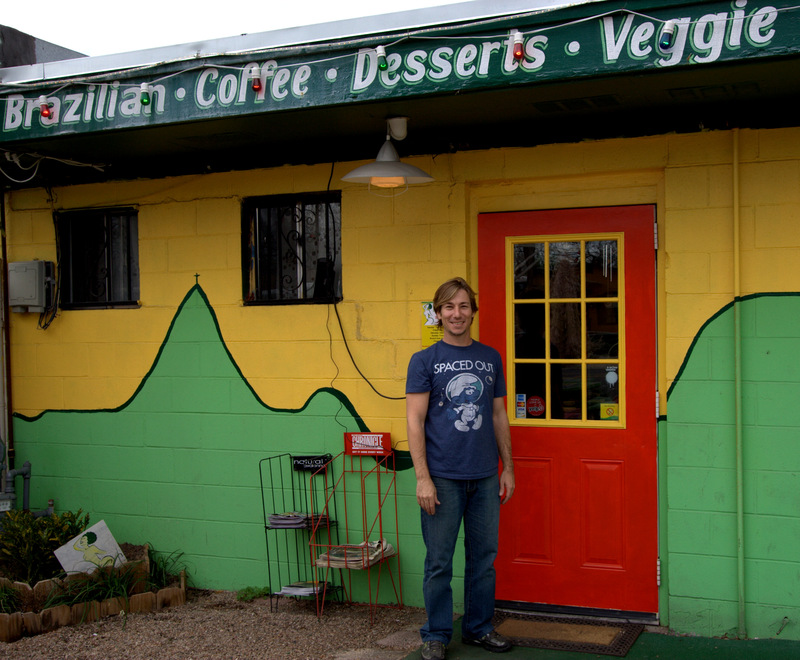 The next stop on our Tour de Austin took us to Rio’s Brazilian, a colorful cafe owned by Ben Googins and Elias Martins. These guys took their love of Brazilian food and brought it to Austin, starting as a vendor at the downtown Farmers’ Market. They then opened up this restaurant in 2010 and serve traditional and contemporary Brazilian cuisine. 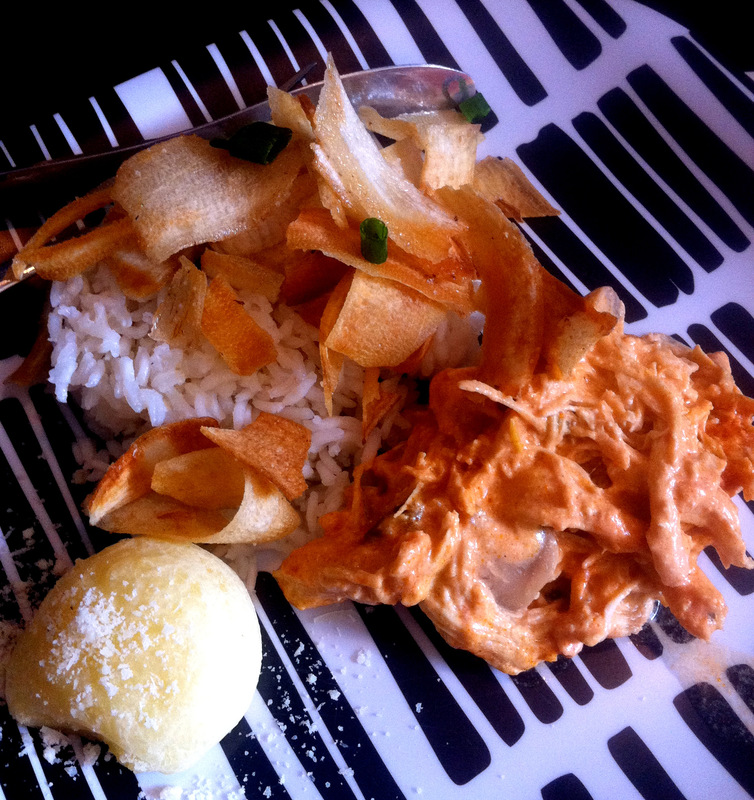 Ben greeted us and offered us their Estrogonofe de Frango, chicken stroganoff served over rice with paper-thin yuca crisps. Yummy! We also tried the cheese bread made with yuca flour. This dish was delicious and gluten-free. Rio’s also has a happy hour from 4 to 7 pm, Tuesday – Saturday. Just might have to hit that! I was working up quite a thirst by now, so it was a good thing that our next stop was at Hops and Grain, one of Austin’s microbreweries. They believe in minimizing their impact on the environment by giving to local environmental non-profits, packaging their beer in recyclable aluminum cans, supporting local farmers and they take their used brewing grains to make doggie biscuits. Very cool – I’m sure my pups would love those. Our bicycle gang was offered three rather large tastings of any of the beers they brew. I tried their Belgian style beer, which was refreshing, and their Ruta Maya Dark, which smelled and tasted like a cup of rich, dark coffee. It was very smooth and very delicious. I was already pretty full on all the food we’d eaten so far – too full in fact to finish my second beer, much less tackle the third one. So, alas, I had to pass on the third tasting. But I’m not too worried – I’m sure I’ll be back. 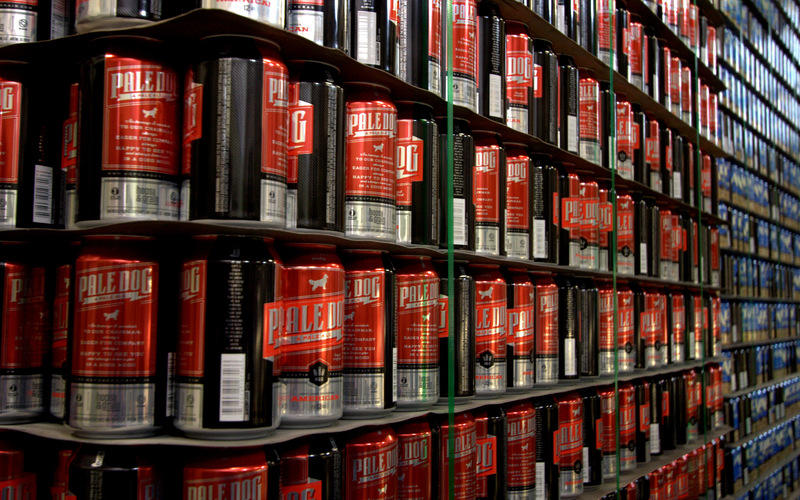 look at all those cans! So this sounds like a great way to end the tour, right? Wait – not so fast! 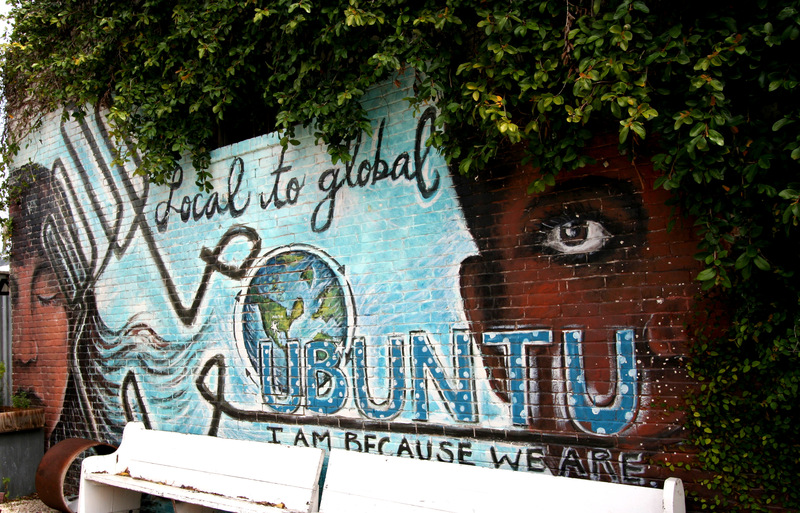 We still have four more stops to go as we eat our way across East Austin. Stay tuned for Part Two of Food Tripping with Austin Eats Food Tours.